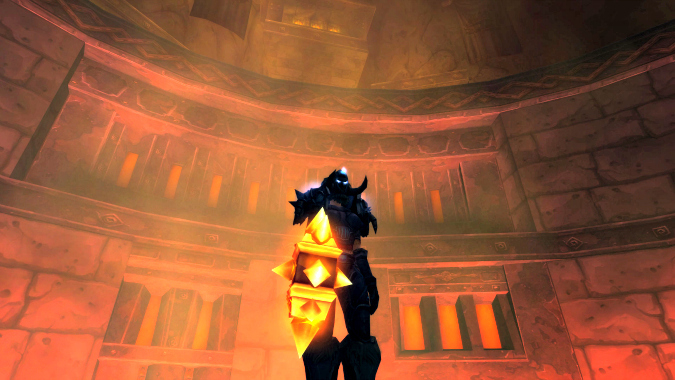 Continuing in the tradition of reflecting on the past while we wait for the inevitable tide of Legion news to break, today’s Death Knight column will be a retrospective look at some of the ways in which ability pruning worked out for the class in Warlords of Draenor. In particular, I hope to reflect on a topic that is still the subject of considerable debate and discussion: Whether ability pruning adversely affects spec theme and flavor, even in the face of mechanical improvements. I’m also going to issue a very clear disclaimer: I acknowledge that personal feelings on “theme” and “flavor” are entirely subjective — and I hope that my readers will agree here! I respect that some may disagree with how I choose to evaluate some of Blizzard’s decisions that I will describe below in the spirit of theme, but hope that disagreement will also be weighed against a more dispassionate appraisal of their effects. Before we begin discussing actual changes, it’s important to consider how we approach this topic. 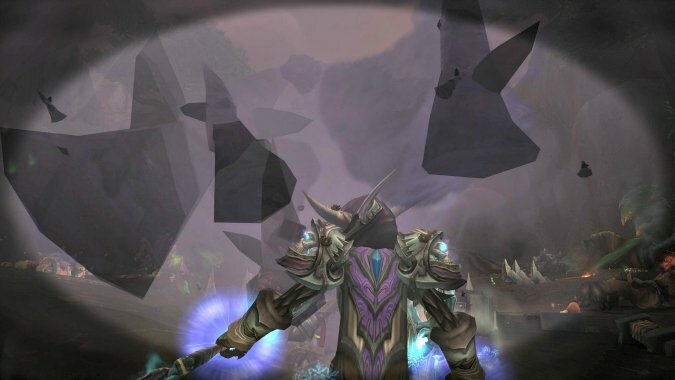 Given that Death Knights are one of only two classes in the game with no spec-specific talents and the fact that multiple abilities were (and, to an extent, still are) shared between specs, it makes no sense to try and separate discussion under the usual “Blood/Frost/Unholy” categorizations. It would be equally silly to try and frame the issue as “DPS or tanking,” seeing as the types of changes we saw affected both roles equally. As such, I have elected to address what I consider to be the most pertinent changes within their own respective sections. We’ll begin with the ability that I consider to have been one of the greatest success stories of the expansion. Blood Boil’s functionality in Warlords represents the culmination of a series of changes that I’ve personally advocated for since Cataclysm, and were long overdue. The design of 6.0 Blood Boil has greatly reduced both the setup and the range at which both Blood and Unholy Death Knights can AOE, and has even partially made the ability useful to Frost. Let us begin by considering the functionality of Blood Boil on a spec by spec basis: It served as Unholy and Blood’s main AOE tool for most of Cataclysm (and even parts of Wrath in Unholy’s case), but had little to no functionality for Frost. Since Cataclysm, one common complaint among Unholy Death Knights had been the sentiment that AOE setup was too punishing for the spec, and that the majority of AOE situations lent themselves poorly to how the spec was designed. While this can partly be attributed to certain flaws in the rune system, another reason had to do with Pestilence. Readers should recall that Pestilence was the original mechanism that Death Knights used to spread their diseases. Since patch 3.1, it dealt no upfront damage, had a melee range requirement of an infected target to use and also used the diseased target as its anchor through which it would determine the range at which it spread. This made utilizing Pestilence very cumbersome — a single misstep by a mob or a yard’s worth of distance between an anchor target and an intended victim meant that Pestilence was troublesome to use, and often resulted in frustrated DKs lamenting their envy of Howling Blast’s “fire and forget” nature. Mists of Pandaria saw the revamp of the talent system, which included a very fortuitous talent in our new Level 56 tier: Roiling Blood. This talent caused Blood Boil to trigger Pestilence whenever it struck a diseased target, which offered huge advantages to both Blood and Unholy’s AOE rotations — to the point where even Blizzard was forced to concede that it should never have been a “talent” in the first place, as Watcher noted that 90% of Blood Death Knights took it and never looked back. In essence, Roiling Blood effectively “pruned” Pestilence with its very existence. It thus made sense for the talent, Blood Boil, and Pestilence to all be baked into the same ability and thereby remove multiple hurdles in one go. An added bonus was the fact that the Pestilence effect caused by Blood Boil was slightly redesigned in Warlords — it currently uses the player as its anchor, rather than the closest infected target it strikes. In practice, this allows for a great deal more versatility when positioning oneself to spread diseases to distant adds, and completely removes the annoyances of a single missed GCD costing large amounts of damage. In summary: The Warlords incarnation of Blood Boil is probably the best design we’ve seen of the ability yet. 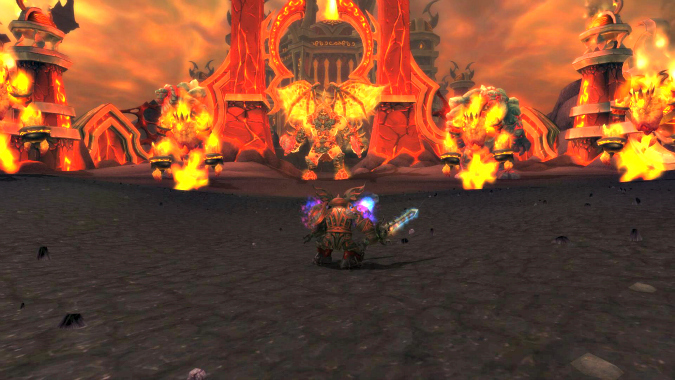 Few abilities in the Death Knight arsenal are as iconic as Death Coil. Harkening back all the way to the Death Knight unit in Warcraft 2, Death Coil had been a staple ability available to every Death Knight spec since Wrath. While it has always been and continues to remain Unholy’s main single-target Runic Power dump, its status for both Blood and Frost was more contentious. Aside from several overpowered builds in early Wrath, Death Coil’s main functionality for Frost had usually been as a much weaker alternative to Frost Strike when being in melee range wasn’t possible. Although not a serious consideration in any situation that involved maximizing damage, this ability was partially the reason as to why Frost developed a reputation as an excellent kiting spec — its existence meant that Frost Death Knights could cast Howling Blast (with the addition of the Chilblains talent) and still maintain a Runic Power dump at range for the purposes of rune regeneration. The subsequent loss of Death Coil from Frost’s arsenal in Warlords was unfortunate. 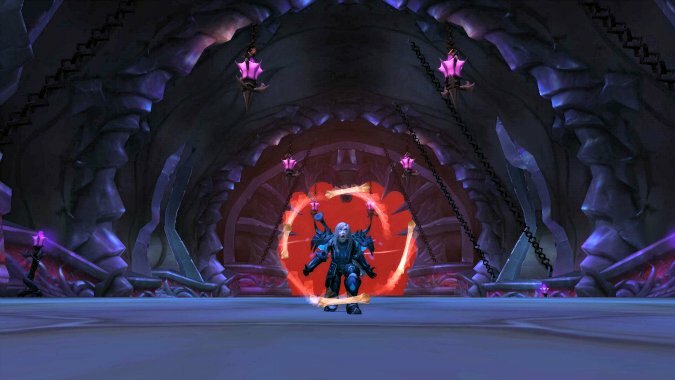 While the use of Frost Death Knights as kiters has been largely phased out, the fact still remains that Death Coil was a tool that offered a measure of versatility, however limited that may have been. Worse still, its loss means that the talent is worth far less to Frost Death Knights than to Blood and Unholy, due to the fact that the talent still allows us to self-heal with Death Coil. Put simply: The only reason to prune the ability was likely the worry that it might have confused new players to the spec. It may well be that this was reason enough for Blizzard. On the other hand, where Death Coil has faded into irrelevance for Frost it has risen to the occasion for Blood. Players should recall that Death Coil was Blood’s main Runic Power dump during Wrath, as Rune Strike’s functionality at this time was not as an “on-use,” but rather a “next swing” ability when the it was able to be activated — and besides that, the latter was hardly ever of use for Blood DPS! Even when Blood became a dedicated tanking tree and Rune Strike was standardized to behave as other strikes did in Cataclysm, Death Coil remained part of the spec’s arsenal. It allowed for efficient ranged pickup of mobs in cases where taunts were on cooldown and runes were being saved for Death Strike, and even served as an option for Blood to bleed off excess Runic Power for slightly more damage at certain levels of in Mists. In short: Ignoring differing Runic Power costs, it did everything that Rune Strike could do with the added benefit of not being constrained by melee range. As such, when it was announced that Rune Strike was to be permanently replaced by Death Coil for Blood, I found myself quite pleased. While I recognize that some players may have felt tied to Rune Strike due to it being iconic, I would counter that Death Coil was even more of an iconic ability — and that it came with some considerable mechanical advantages that Rune Strike did not offer. While it’s certainly regrettable that Death Coil’s current damage is a laughable fraction of the relative damage contribution that Rune Strike used to offer to Blood’s arsenal, we must consider that this is the result of number tuning more than actual design. At the end of the day, I consider Death Coil’s place in the Blood arsenal to have been richly deserved and a correct decision on Blizzard’s part. Assuming that there’s no imminent break of Legion news before BlizzCon 2015 (after which, I can promise that things will ramp up quickly), it is safe to assume that my next column will continue the discussion begun here. It doesn’t take much searching to realize that ability pruning for our did go beyond the examples that I’ve listed above, and that there are several more contentious choices that I expect many people will wish to weigh in on. I’ve deliberately chosen to try and break up the topic, so as to give each decision its due, rather than a few dismissive phrases here and there. Besides, let’s be honest: You’re all dying to see a full length discussion on Heart Strike! Until next time, suffer well brethren!